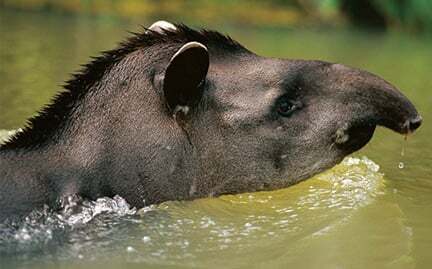 The size of a small pony, tapirs can reach high speeds on land like galloping horses. Their short prehensile trunk is actually an extended nose and upper lip used to grip branches and strip them of leaves and fruit. They are seed dispersers, helping their forest habitat regenerate.